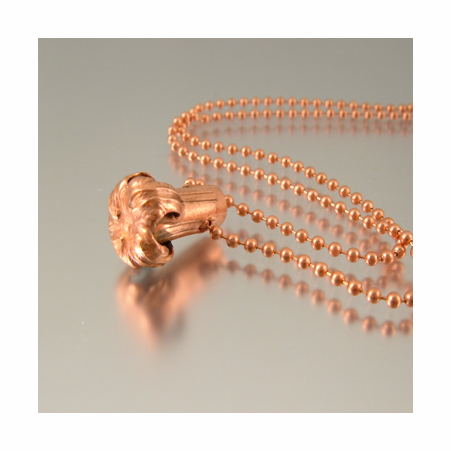 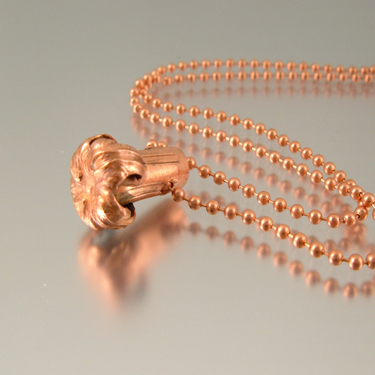 Copper Head is an actual bullet head shot into water, creating a beautiful flower affect. 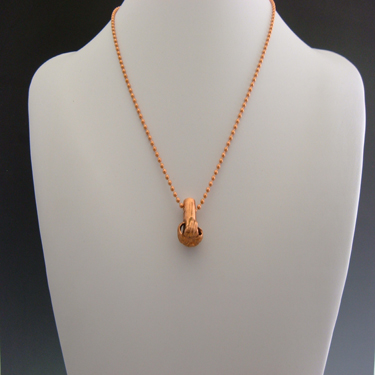 It's solid copper, safe to wear and will not turn your skin green if kept clean by buffing with a soft cloth. 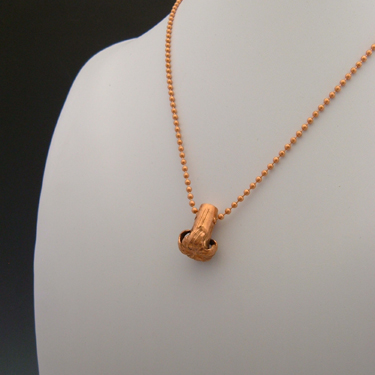 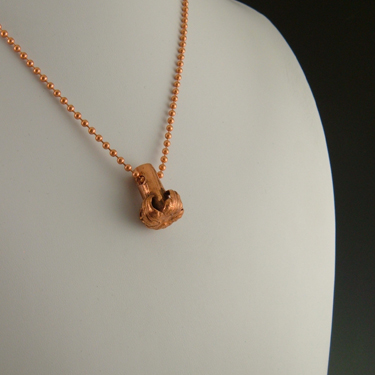 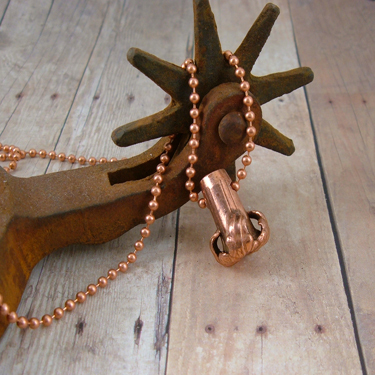 This recycled bullet pendant comes on either an 18 or 20 inch solid copper ball chain; your choice. 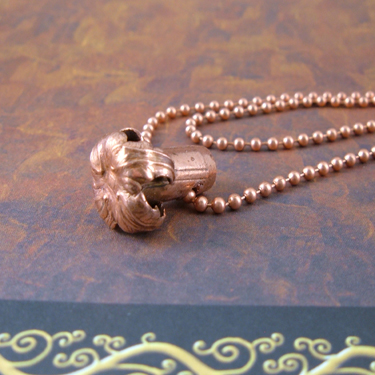 The unique design will be a conversation piece, so be prepared to get some attention each time you wear it.